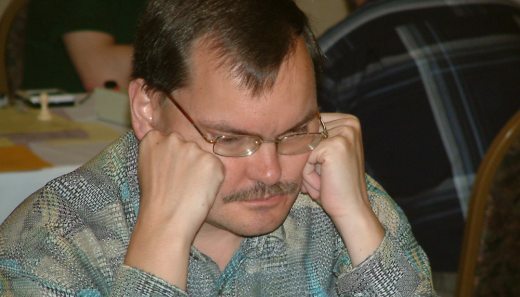 Jan Ehlvest was one of the world chess elite and is still an active chessplayer today. 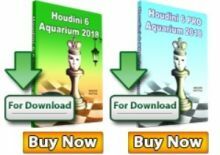 The 49-year old who has competed in numerous World Cup tournaments and who is also the author of many chess books still manages to maintain a high level of sporting performance. 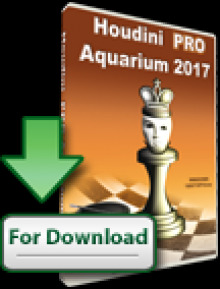 The holder of a Masters degree in Psychology is very engaged with the questions of chess promotion and development and as to how chess players of high quality can be produced. So this fan of the great Bobby Fischer was more than happy with the opportunity to come and play in the Indonesian Open Chess Championship (IOCC) 2012. Q: How do you find IOCC 2012? A: IOCC 2012 is the second tournament of the same name. Last year I could not play as I was already contracted with another tournament. This tournament is very good because the top players are those whom I have beaten or drawn with in the past. So this tournament is of a high level. Q: What are you impressions of Indonesian chess? A: Indonesia has a population of over 200 million people. From such a large number you can certainly identify talented players. Of course budget to do this is one problem. Besides that the location of Indonesia which is far away enough from world centres of chess is also a challenge. I have a friend from Kazakhstan who has been a trainer in India. Even these countries are considered far from Europe. But from a financial perspective that is a lot easier as the countries are nearer. Questions regarding trainers and training are very important for the development of chess in a country. Right now Indonesia has engaged Ruslan Scherbakov to work with some players. He is an excellent trainer but he cannot do it alone for all of Indonesia and so naturally he focuses his energies just on those he is training. The selection of the trainees must also be fixed. And the money needed for chessplayers to compete abroad in not an insignificant amount. Q: So you do training? A: Yes, but I do not have many pupils as I prioritise quality. Q: What do you think about chess? A: Chess is a sport that is rather secretive when played at the top level because these tournaments are only for an elite few. But chess is otherwise an artistic sport and so I try to make it easy for others to understand as such. Because of this I have written a book for children to learn chess. I try to teach children. Trainers look for students to win but teachers teach the rules and how to play. Q: You have a Masters degree in Psychology, did that have an influence your book? A: I have not practiced that yet. Of course that was very useful when I wrote my book on chess for children. Q: D you prefer to be a writer or a chessplayer? A: Chessplayer as I belong to that group of people who has difficulty concentrating on a task for long periods of time. A writer needs to focus on the task at hand for a long time. On the other hand I have often been bored and lost interest at points during a tournament. 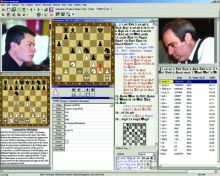 Furthermore I have played at the very top level with the likes of Anatoly Karpov and Gary Kasparov and the tournaments I play in today are very different. Also I have been ranked as high as No. 4 in the world. I am not saying anything bad about my opponents but today’s competition is not like it was before. There are more and more tournament and ever increasing numbers of strong players as a result. Q: One of your books is titled Story of a Chess Player. You published the book? Is that a form of protest towards Estonian chess? A: This book was written by me while I was in the USA but it was a book which talked about myself. I am not a crude person and have no intentions of attacking anyone. I merely told what the situation was with chess then, how I became one of the best Estonian players of all time. I have to talk about these things as it is my duty and obligation to do so. Q; You are still a citizen of Estonia? A: Yes, I still am a citizen of Estonia and I also live there. I only play for the US Chess Federation. Q: Why did you choose the USA? A: Many reasons. To qualify for the World Cup I must play in the Continental and Zonal Championships. So I have an arrangement in the USA where I no longer need to travel and play in Europe. I switched not for profit. Chess is a global game with many possibilities. A chessplayer can be a citizen of a country and play for a different federation. Q: You have played chess for decades. Do have other hobbies? A: I enjoy fishing and also playing tennis now because my stomach is expanding (shows his tummy and laughs). Q: How many times have you been to Indonesia? A: Three times. First and second was the tournaments in Bali in 1998 and 2000. The third, here at the IOCC 2012. Q: You like being here? A: I like the good weather because it is not too hot.